You asked, they answered. 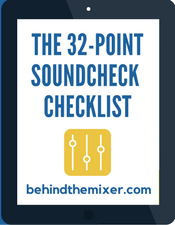 Audio production topics include sound booth placement, the pros and cons of digital microphones, line array versus point source speakers, and how best to silence a channel (SILENCE, I MUTE YOU). If you’ve got a question for Chris and Brian, drop them an email via the link in the podcast resource links.